Don’t miss the MCE Insurance British Superbike Championship at Oulton Park this Bank Holiday weekend (5/6/7 May) as the title fight reaches the Cheshire circuit for the first time in 2012. 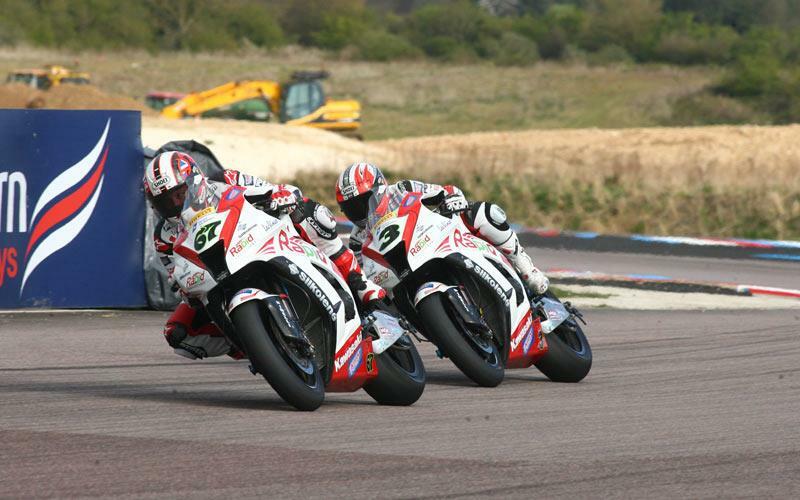 The parkland setting has previously produced some of the closest race finishes in MCE BSB history and with the new technical regulations making a more even playing field for 2012 expect to see a brace of new contenders lining up to steal Tommy Hill’s championship crown. Samsung Honda’s Jon Kirkham snatched the opening race win from Alastair Seeley at Brands Hatch whilst Ian Lowry and Josh Brookes stole the honours at Thruxton, but as the championship reaches Cheshire the 32 riders will all by vying for victory in their quest to remain inside the top six in the standings. Defending champion Hill and former double title winner Shane 'Shakey' Byrne are fired up to make amends after the opening races of the season as they fight to defeat their title rivals and return to the podium. Swan Yamaha’s Noriyuki Haga returns to Cheshire on his first full season in the championship; last time he raced at the circuit he was engulfed in the famous fireball warm up lap incident but with track knowledge already he is sure to be a contender on Bank Holiday Monday. The event features a host of support class action including the Motorpoint British Supersport Championship protected by Datatag and the Metzeler National Superstock 1000 and 600 Championships, plus you can meet the riders during the free pit walk. Advance adult tickets for raceday cost from £25 online in advance with children aged 12 and under free. For more information and to book call 0843 453 9000 or click the button below. To celebrate the Oulton Park round we have three pairs of weekend tickets to give away to the triple-header event with the overall winner experiencing a high-speed lap of the circuit with a pillion ride (terms and conditions apply).